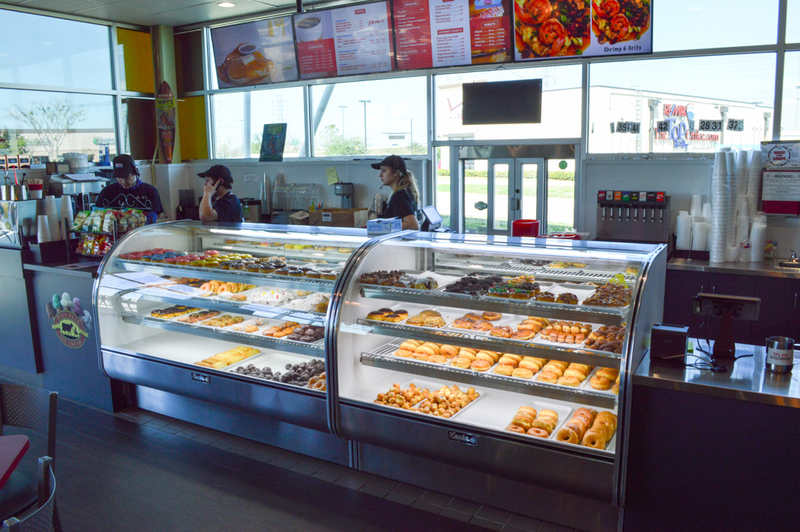 Peña’s Donuts & Diner is located just south of the Sam Houston Tollway and the Pearland Parkway. 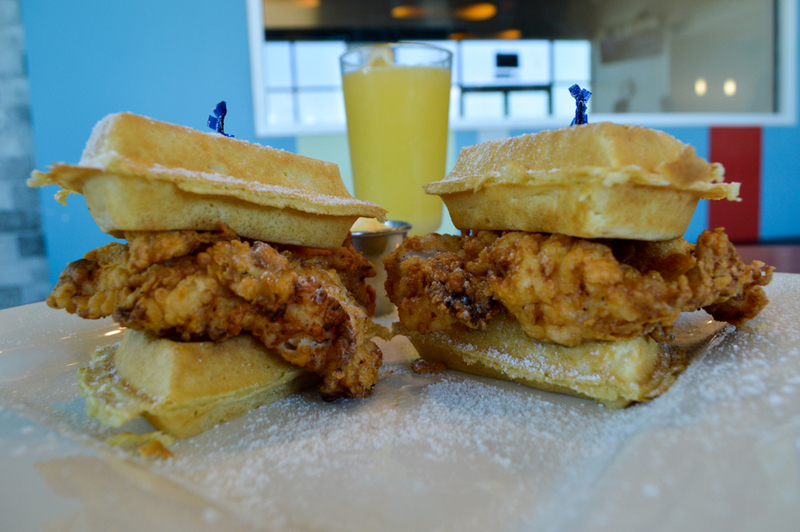 I‘ve been listening to friends and family rave about this unique eatery for a while now – let’s just say I was super excited to finally get a chance to stop by and see what all the fuss was about. 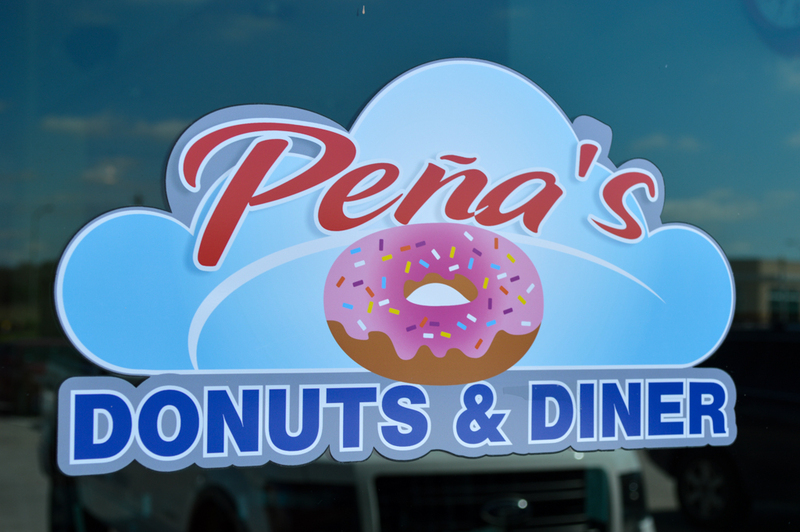 Peña’s Donuts & Diner is a family-owned and operated eatery. Raymond, a retired firefighter and his oldest son Ryan work together to keep the Pena’s legacy strong. 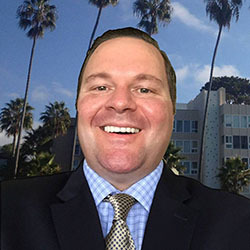 Raymond and his family do a lot to support the local community that supports them, real cool! 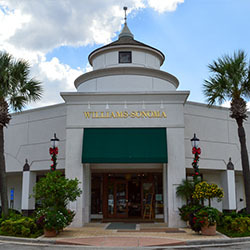 This is the second location providing its customer favorites. 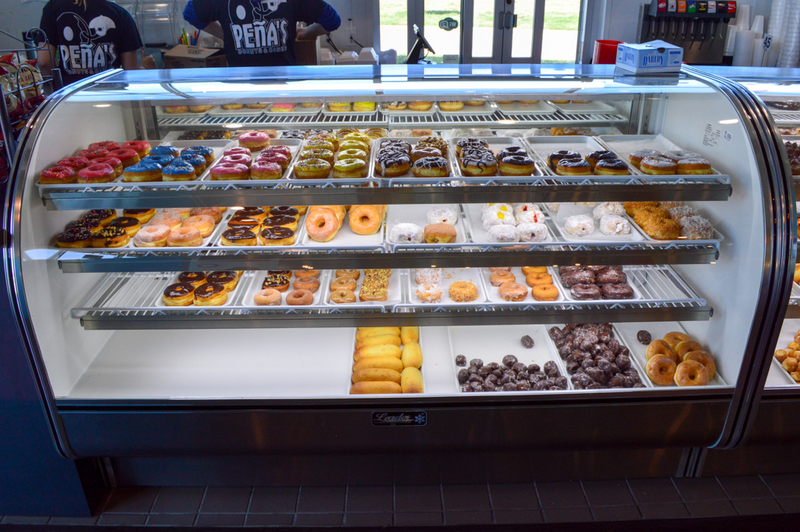 The first, Donut Heaven, was opened 14 years ago. 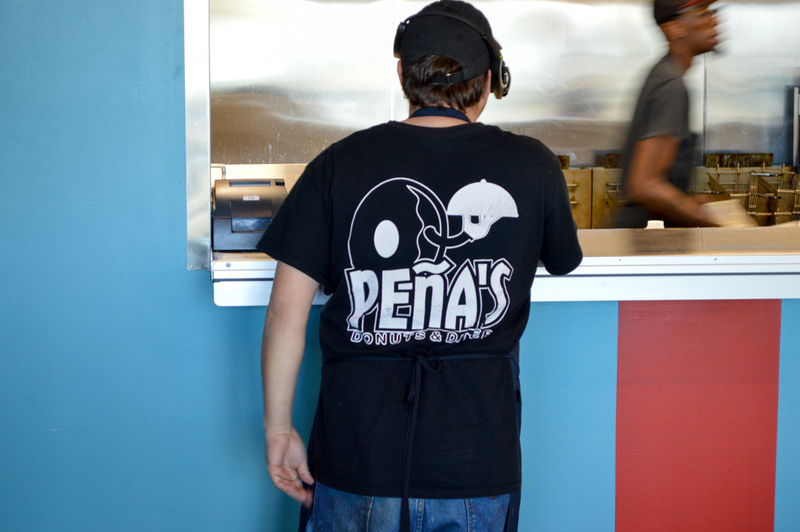 I was soon to find out what everyone else already knew… Pena’s is on another level. As you walk through the doors, the aroma hits you like a ton of doughnuts. Ha! 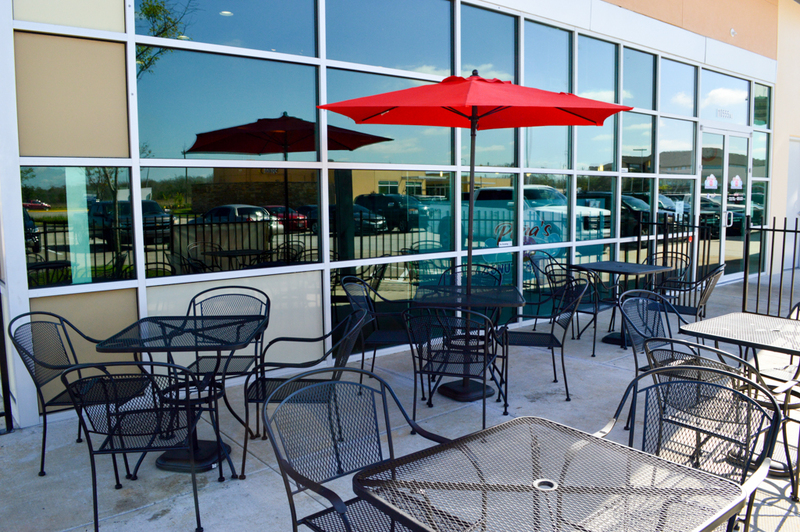 If you are not hungry when you enter the place you will immediately get hunger pangs – it smells so delicious! Right away I see the wonderful doughnuts through the glass. I can’t believe my eyes! 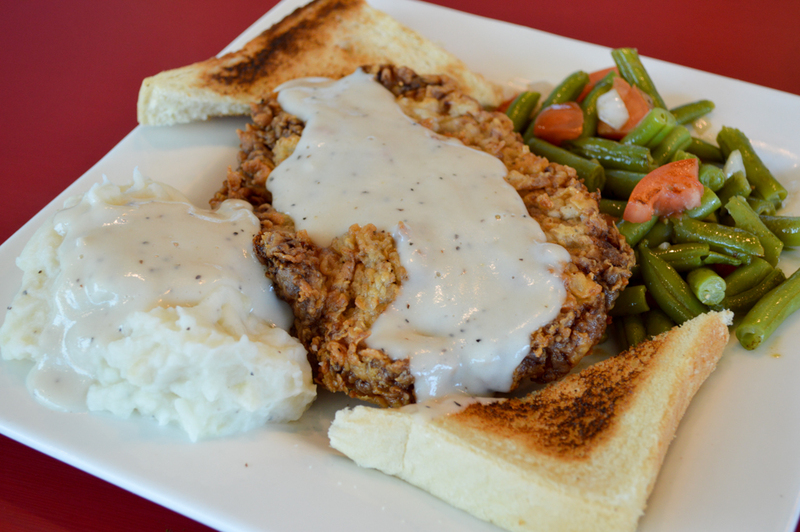 So many choices and so little room in my stomach… It’s a tough job, but somebody has to do it! I love the cheery design of the restaurant. The bright, vibrant color scheme really set the mood for the wonderful meal we were about to enjoy. 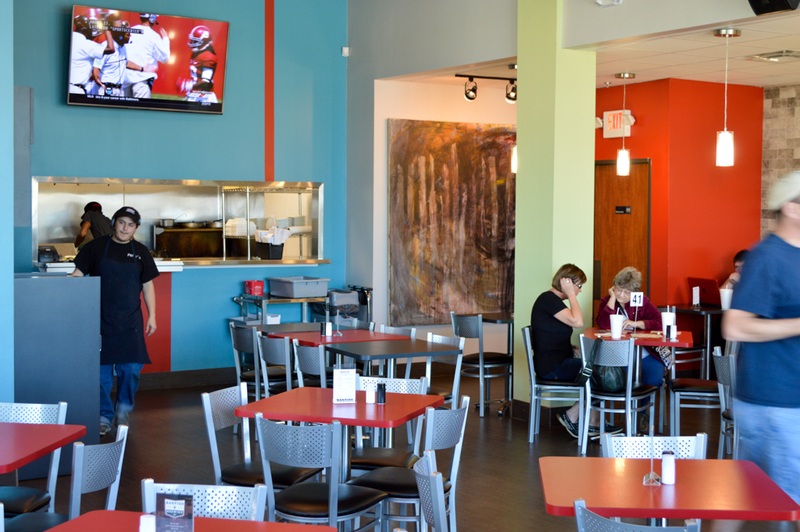 The flat screens can be seen from any angle which is a nice touch – especially during football season! We were at a doughnut shop, so when in Rome right? 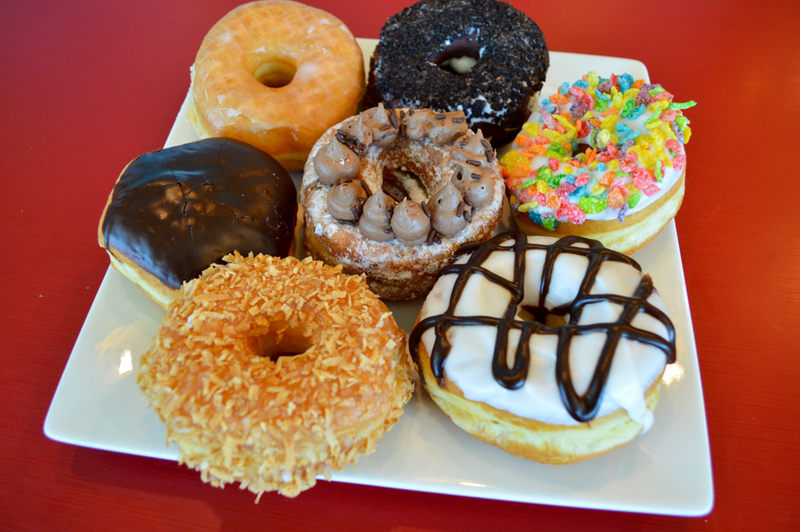 We put together an assortment of donuts. 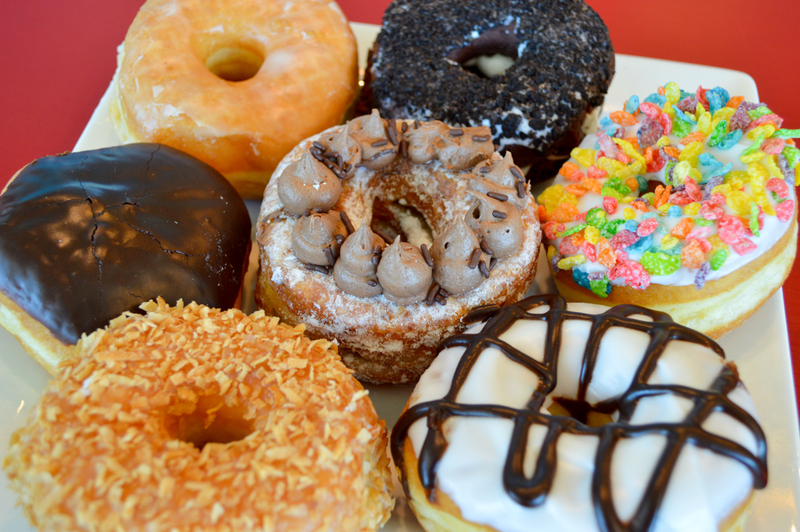 Chocolate Mousse Cronut, Boston Cream-Filled Donut, Coconut Crunch Donut, Fruity Pebbles Donut, Oreo Donut, White-Glazed Chocolate-Striped Donut. They were all absolutely sweet and delish, but my very favorite was the Chocolate Mousse Cronut. 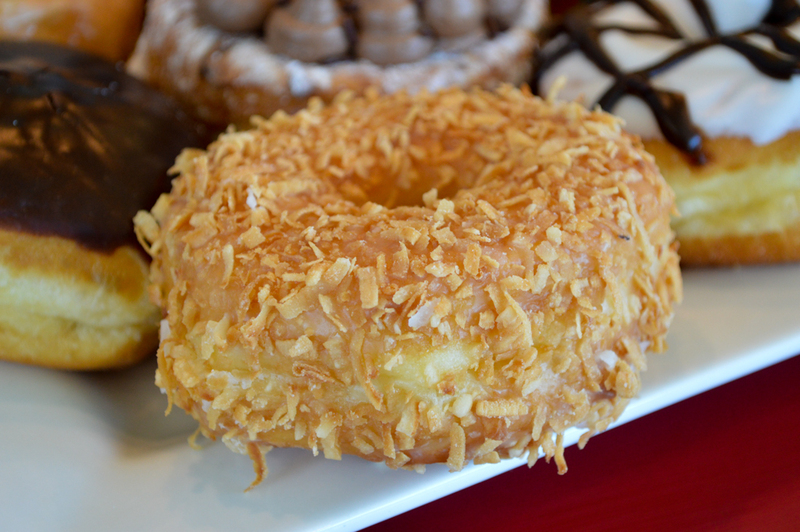 The Cronut is a croissant-like pastry filled in layers with Chocolate Mousse. 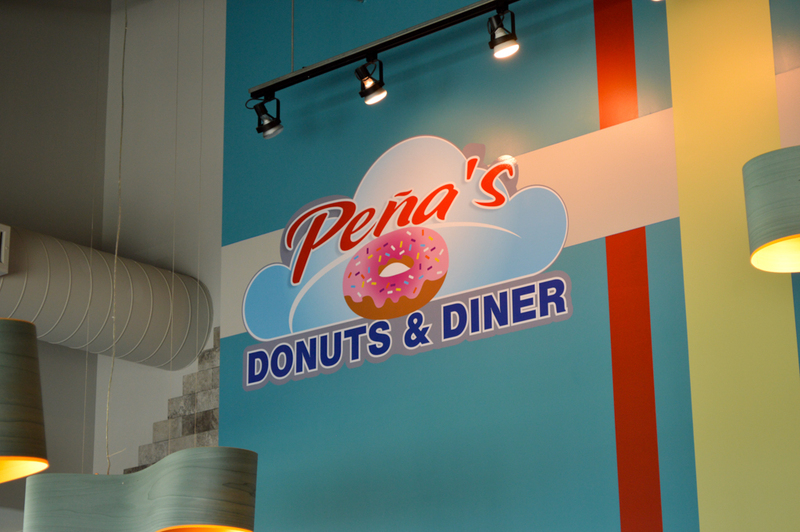 What a gem… you have to try a cronut when experiencing Peña’s Donuts & Diner! 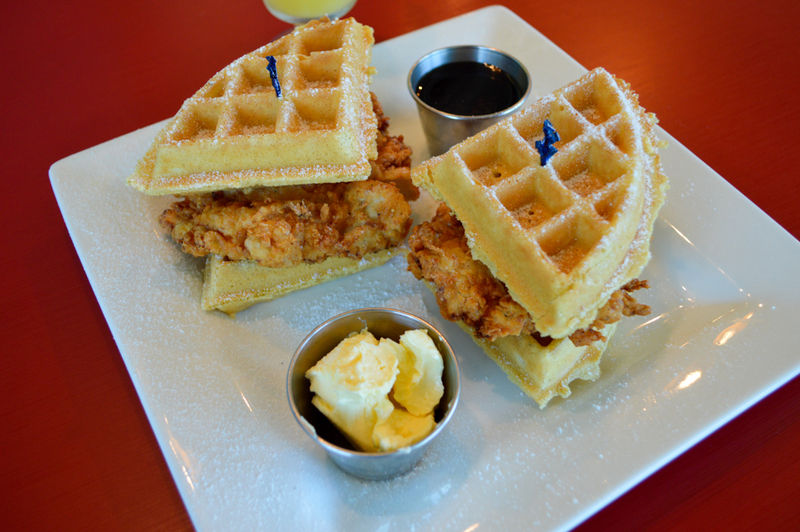 Next up was one of my favorite dishes, Chicken & Waffles. 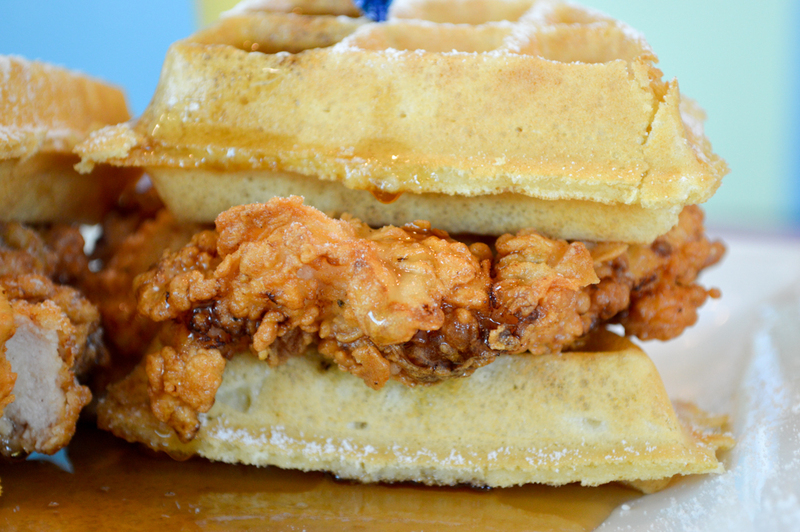 The Chicken and Waffles at Peña’s did not disappoint. 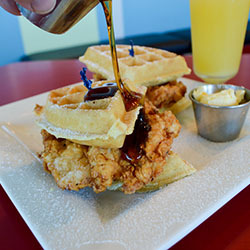 The chicken breast is first marinated for 72 hours, then fried and sandwiched between two golden Belgian Waffle triangles and served with maple syrup and whipped butter. The Fried Chicken was unbelievable; the seasonings in the batter are full of flavor. 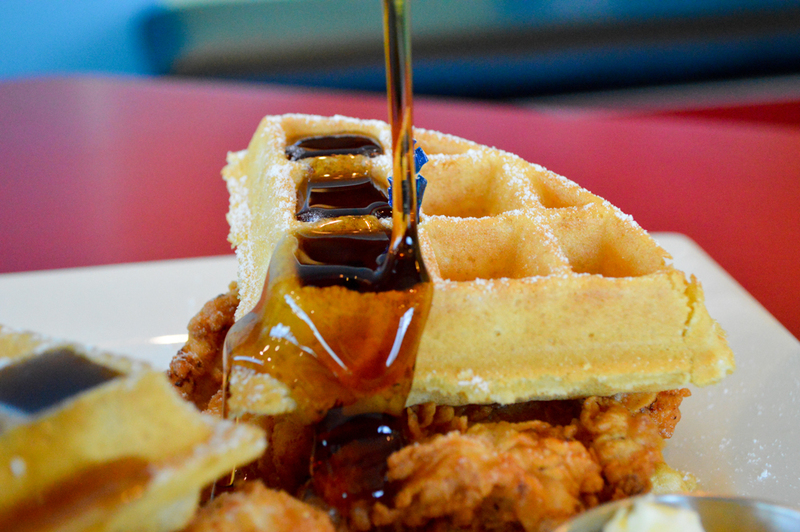 The sweet maple syrup is the perfect combination with the salt from the Fried Chicken. This was my favorite dish of the afternoon and Boy! That is really saying something! 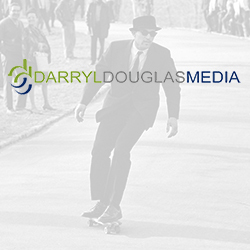 As we made our segue from breakfast to lunch, I thought it would be fitting to combine the two. We ordered up the famous Donut Burger. 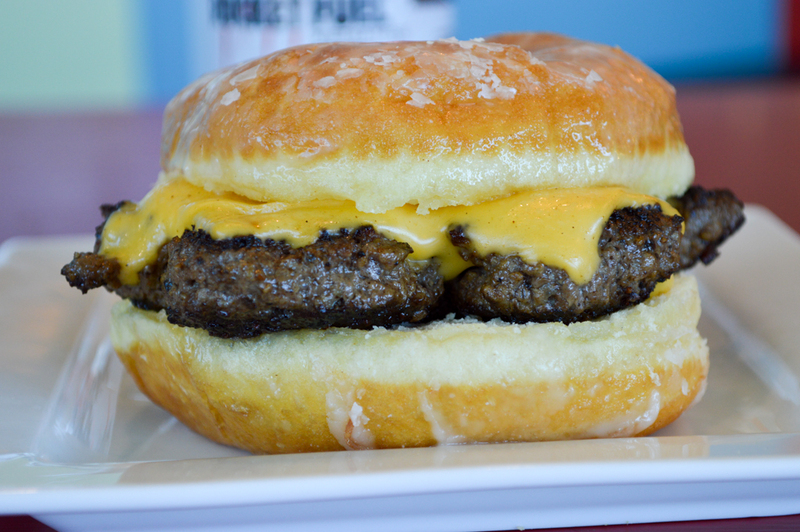 The all-beef patty and cheese fit like a glove between two halves of a glazed doughnut. Again, I was loving the sweet and savory combinations Pena’s Donuts and Diner was serving up. 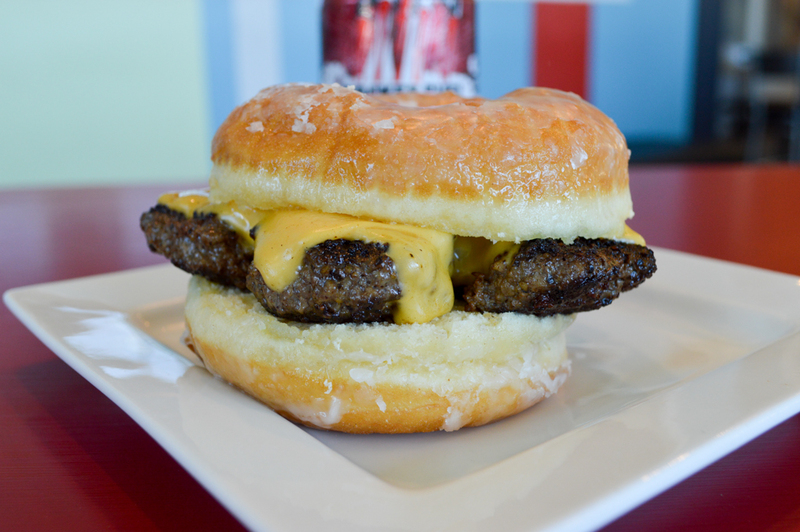 The hamburger was cooked to perfection and the donuts speak for themselves… just look at the photography! 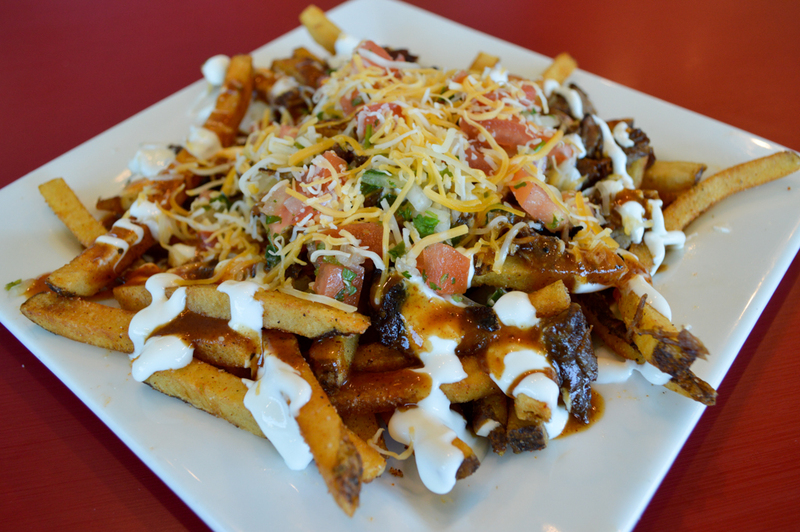 After taking another gander at the menu, I scouted out the Smokehouse Fries. 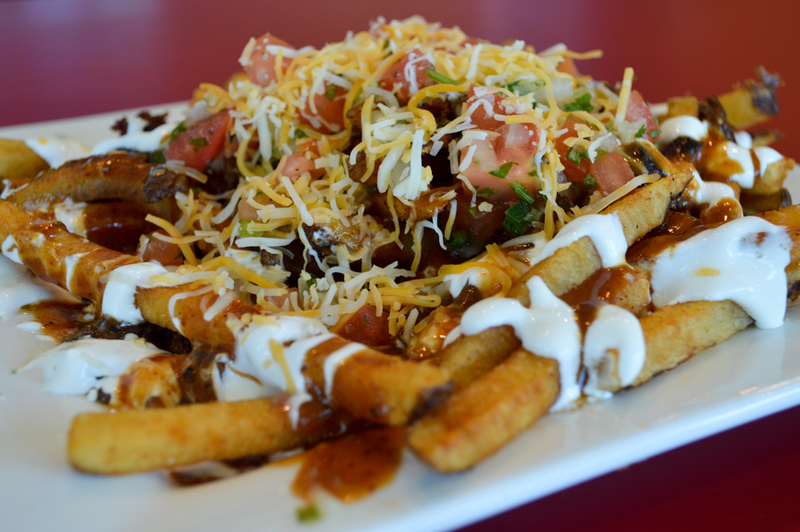 This mound of homemade French fries was topped with smoked chopped brisket, shredded cheese, sour cream, pico de gallo and BBQ sauce. The smoked brisket was boss and the BBQ sauce brought these fries into the stratosphere. I loved the BBQ sauce so much that I actually had them pour me some into a container to take with me. It should be bottled. So GOOD! 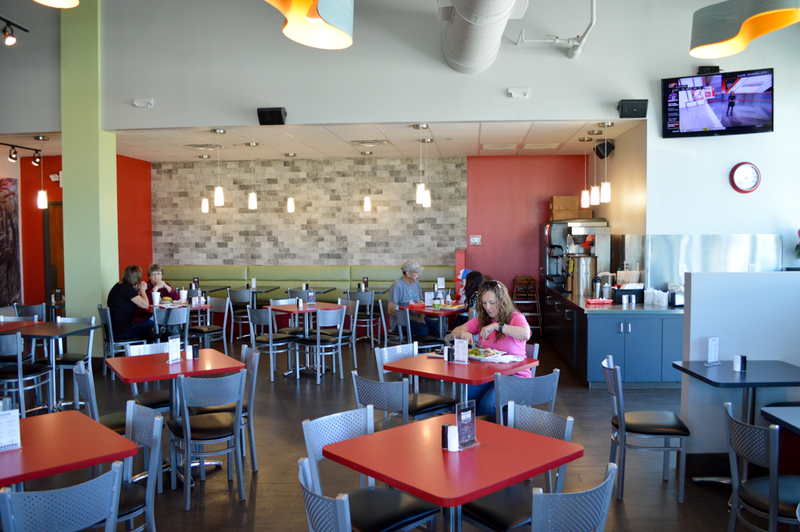 We tried a couple of different tacos at Peña’s Donuts & Diner. 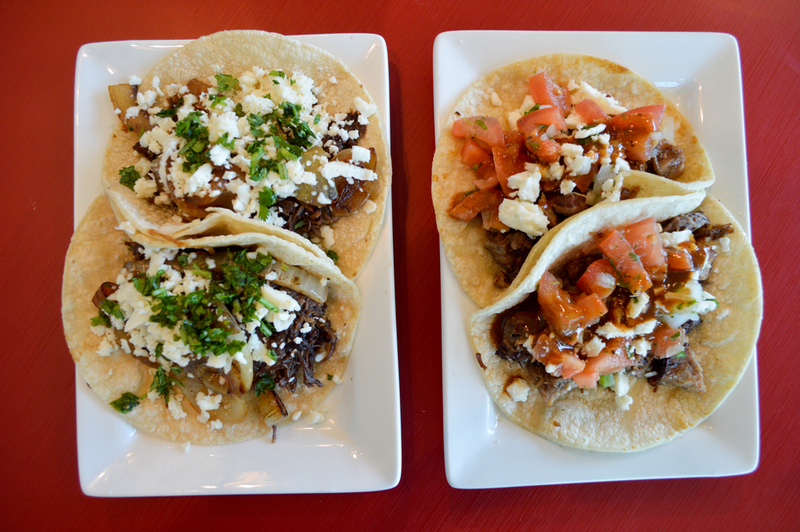 The Barbacoa and the Brisket Tacos were on my list. 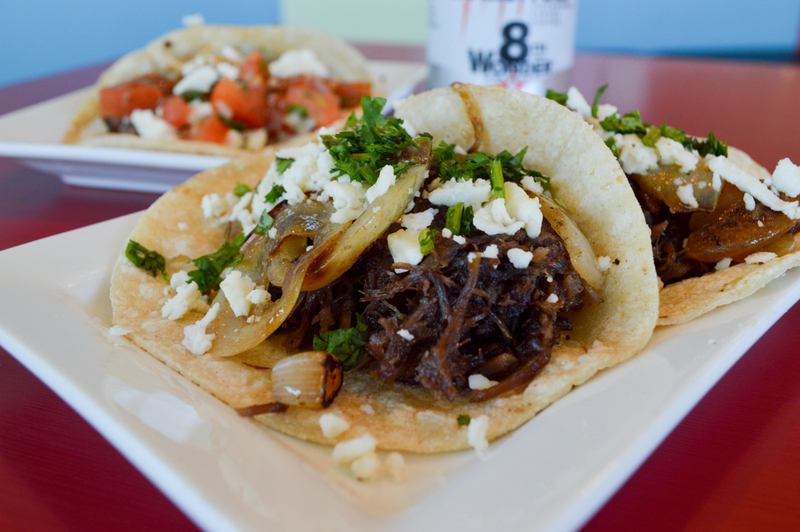 The Barbacoa Tacos were built with savory barbacoa, caramelized onions, cilantro and queso fresco served on corn tortillas. Living in San Diego, I know tacos and the barbacoa here was as good as it gets! 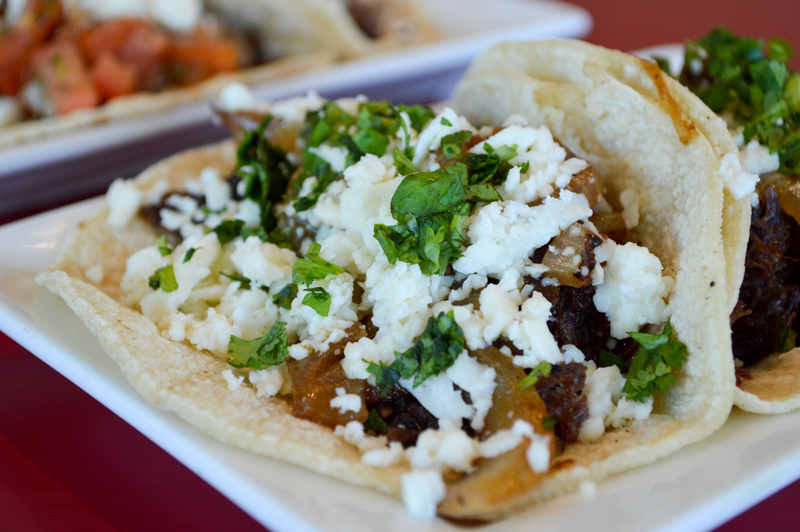 The combination of caramelized onions with queso fresco dropped on top was like a celebration for my taste buds. My favorite of the two was the Brisket Taco. Only in Texas and I love it! 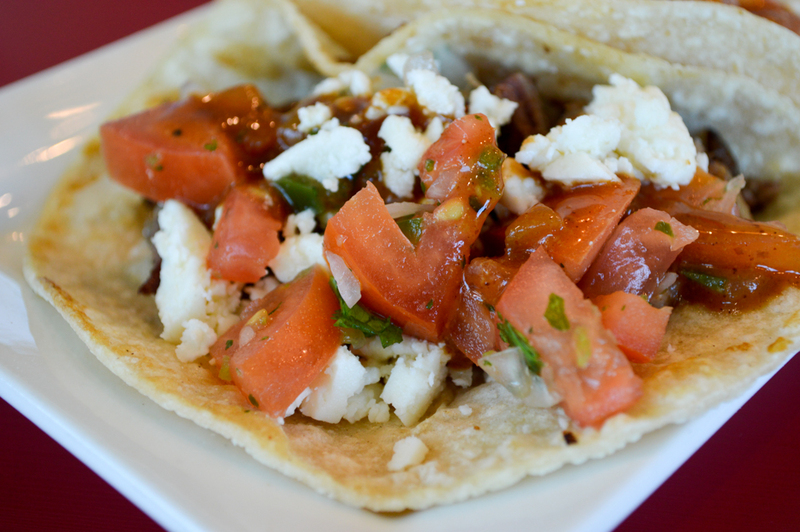 Served on a corn tortilla, the BBQ brisket enjoyed a spread of pico de gallo, queso fresco and homemade BBQ sauce. Again, my passion for this BBQ sauce has this taco screaming my name! I could not set it down on the plate. The fresh tomatoes in the pico provided a nice crunch. If you are looking for a unique taco, then look no further. 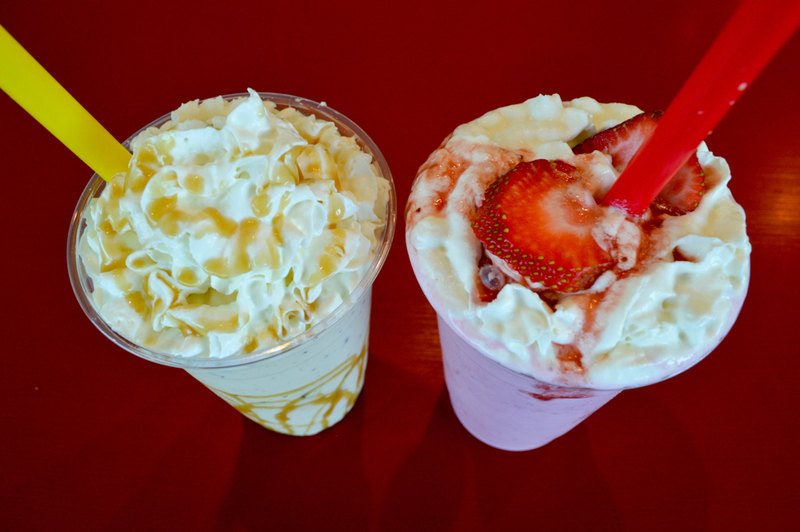 I had been told by a very good friend that I could not leave Peña’s Donuts & Diner without trying one of the Milkshakes. Let’s just say this was the best advice I had received in a while! 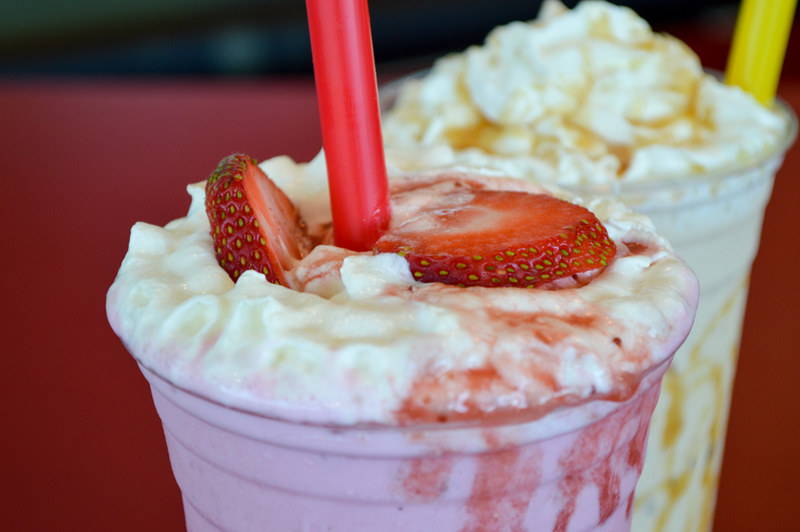 We ordered the Classic Strawberry Milkshake made with vanilla ice cream and fresh strawberries and topped with whipped cream. It was REALLY GOOD! 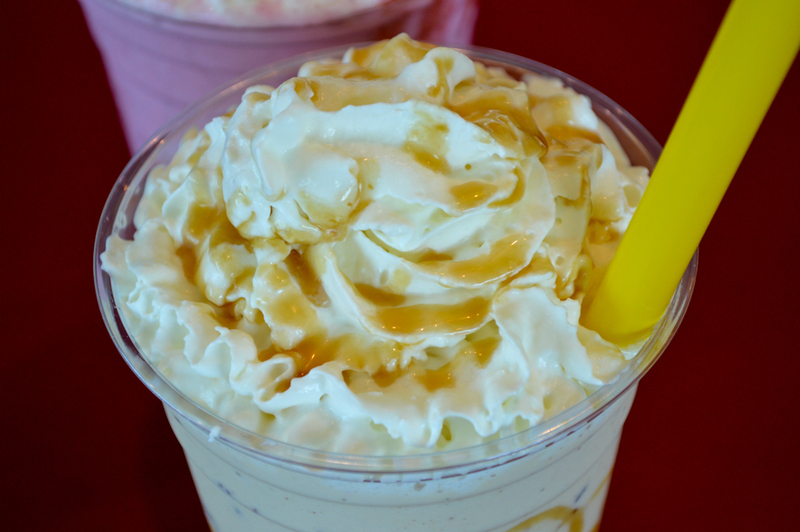 But my favorite of the two was the Caramel Bacon Milkshake. This piece of art was hand-crafted with vanilla ice cream, salted caramel, bacon bits and topped with whipped cream. 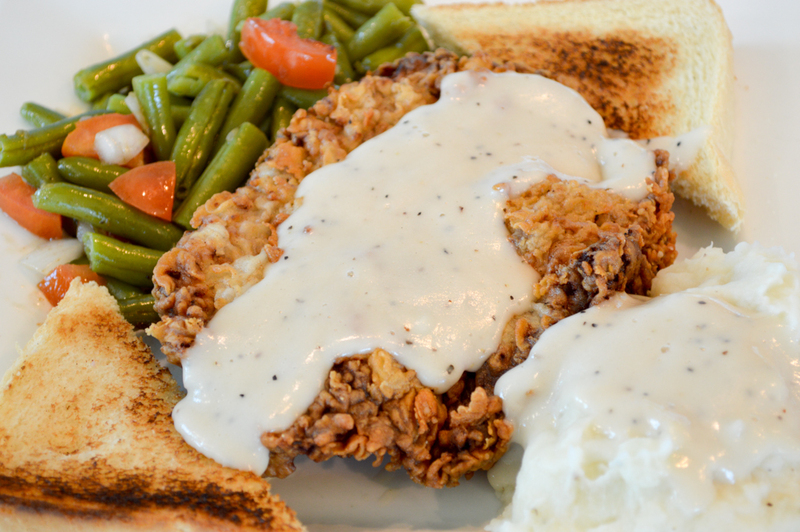 The sweet and savory flavor here is simply SOMETHING SPECIAL! What an Ahhmazing experience here at Peña’s Donuts & Diner. Everything was excellent, from the specialty doughnuts, fried chicken and waffles to the brisket tacos and smokehouse fries. I am literally counting down the days until my next visit… and that is what makes my world go round!